Although the competition was mostly uninspiring over the last several days, it was a very busy weekend of basketball around the ACC. 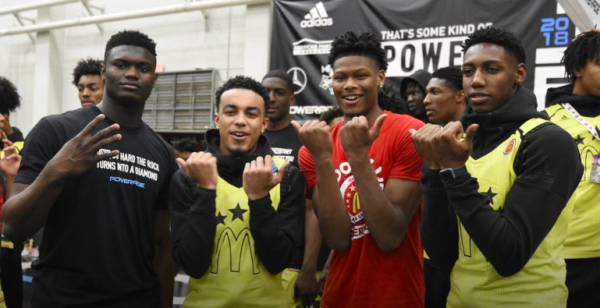 This week will bring an improvement in competition for the league, beginning with Duke taking on Michigan State in the first game of the Champions Classic in Chicago tonight. Just because the opposition wasn’t great, though, doesn’t mean we should ignore opening weekend. 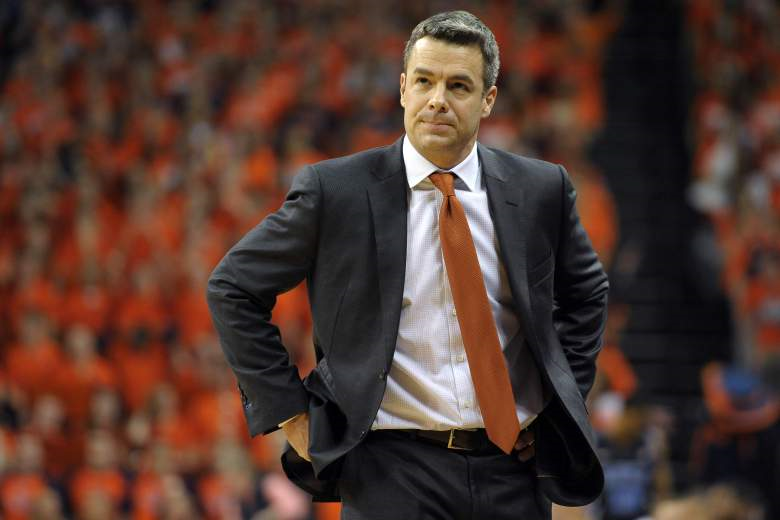 Here are the five biggest surprises from the first weekend-plus of the brand new ACC season. 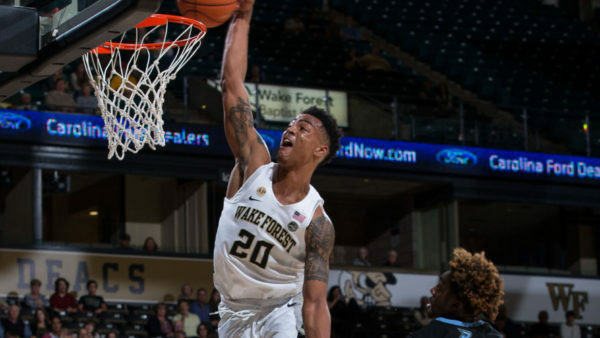 Burning Question: What sort of “sophomore leap” can we expect from Bryant Crawford, John Collins, and Doral Moore? 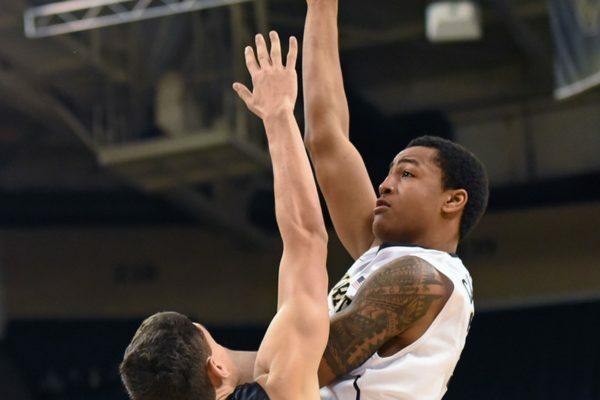 Wake Forest is coming off an incredibly disappointing season. 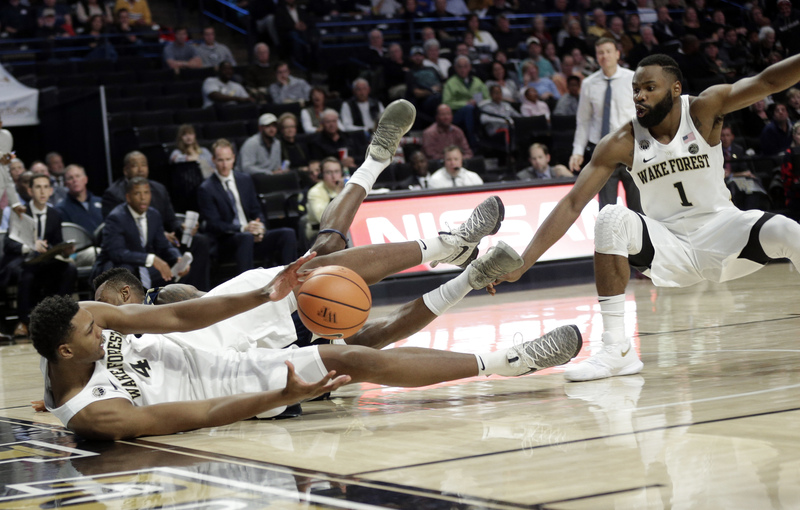 Despite having a pair of talented seniors in the lineup, the Demon Deacons managed only two league wins last year, causing fans to suffer flashbacks of the Jeff Bzdelik era. The 2015-16 team was better than its record, though, and that discrepancy largely falls on the shoulders of the team’s most talented (and now graduated) players: Codi Miller-McIntyre and Devin Thomas. 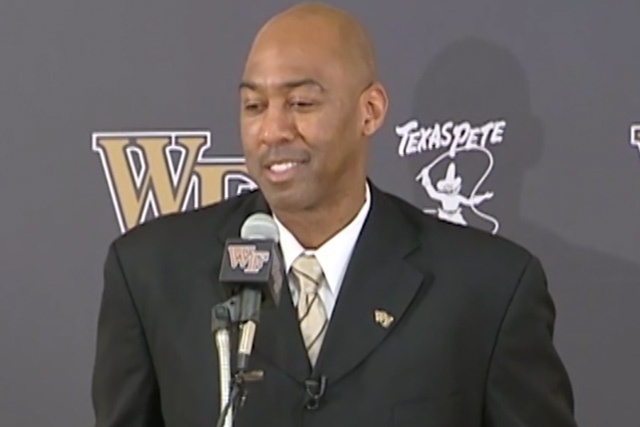 This year the Demon Deacons will lack their senior leadership but that may finally provide Danny Manning the distance he needs to fully reshape the basketball environment in Winston-Salem. First, I’m an admitted Manning apologist. 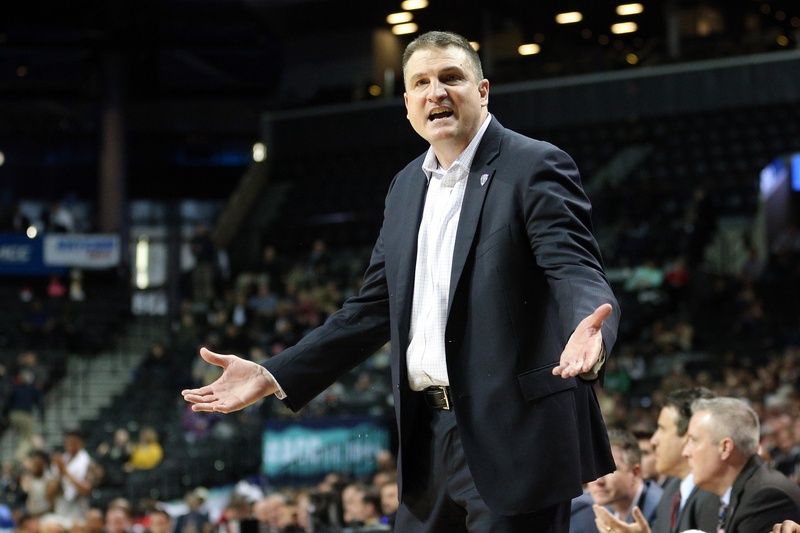 His results have so far been inconsistent, but Bzdelik passed along a culture so toxic that no one could have reasonably expected a quick fix. This, however, is the year Manning must start to show real progress (with next year being the year to make a leap in the conference standings). The road will be tough and the win total may not reflect significant improvement, but Wake Forest needs to beat the worst teams in the league (here’s looking at you, Boston College and Georgia Tech), while playing competitively against the better teams (hey, Virginia). He has not coached a game yet, but the Steve Wojciechowski era is already off to a great start. Prior to yesterday, he already had three four-star recruits for his 2015 recruiting class and then he topped it off with the commitment of Henry Ellenson to Marquette. We will point out that Wojciechowski had a huge edge in this recruitment–Henry’s brother Wally transferred to Marquette earlier this summer and that they are from Wisconsin–but he still managed to beat out Michigan State and Kentucky for Henry, a top 10 recruit in the class of 2015. There are already some who are criticizing the commitment saying that this is a package deal since Wally, who averaged just 2 points per game at Minnesota, received a scholarship, but package deals are hardly unique in college sports although they typically involve someone getting an assistant coaching job or something along those lines and while Wally is certainly not a star he did play for a legitimate high major program last year. After having to back out of his transfer to UCLA when he was not accepted into the school, Jon Octeus has found a new home with his decision to transfer to Purdue. Octeus, who averaged 13.4 points, 4.7 rebounds and 2.3 assists per game at Colorado State, had originally attempted to transfer to UCLA as a graduate student, but was denied admission to the school, which was a huge blow to the Bruins and might have been the first time we had heard of a graduate student basketball transfer being denied admission. Although the school’s press release does not officially say that he has been admitted (just says that he is pursuing a “Master’s degree in the school of technology”) we are assuming he would not make the same mistake twice. 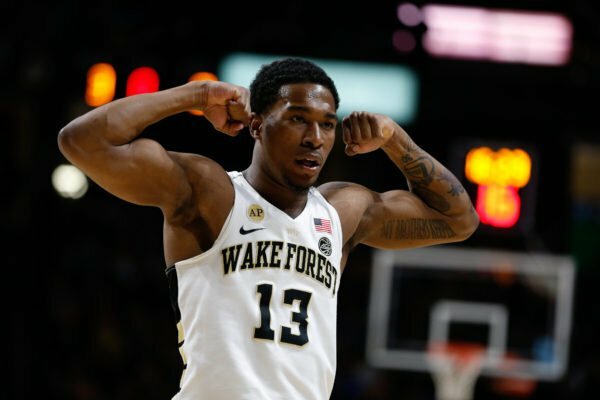 Operating under the assumption that he got admitted this time, Octeus, who would be eligible to play immediately with a graduate transfer waiver, should provide the Boilermakers with a steady influence to balance out what should be their strength inside with A.J. Hammons, 10.8 points, 7.4 rebounds and 3.1 blocks per game last year, returning. With the way that things appeared to be going for suspended Texas guard Martez Walker the announcement that he had withdrawn from the school should not be that surprising. Walker, who was arrested a month ago for what was described as a domestic violence incident and was arrested again a week later for violating an order not to be in an on-campus residence hall, had been suspended indefinitely and at the time of his first arrest we noted that he probably would not be back any time soon given all of the media attention around athletes and domestic violence in the wake of the Ray Rice video. In the end, Walker, a reserve who averaged 4.7 points and 2.3 rebounds per game and was not expected to see a significantly increased role, opted to leave the school. We have no idea where he will end up next, but we hope he can get his life together. 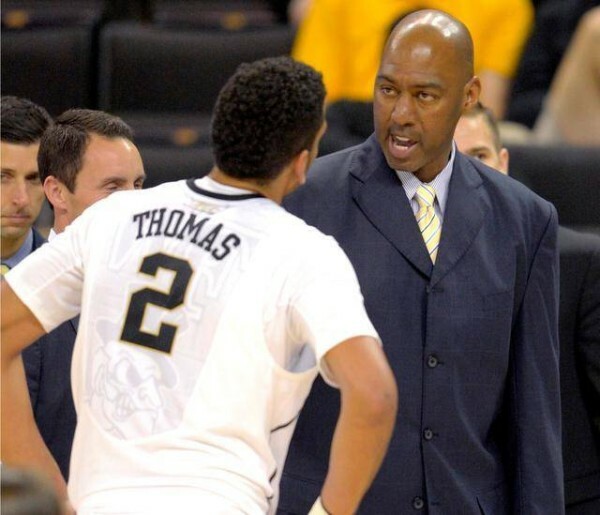 The commitment of Doral Moore to Wake Forest might not make headlines like Ellenson’s commitment to Marquette, but it was still big for Danny Manning. Moore, a four-star center, committed to Wake Forest after a visit to Winston-Salem this past weekend. He had also been considering Illinois and Kentucky before deciding on Wake Forest. As Jeff Borzello notes Moore has the potential to develop into a much better prospect than he is currently rated and unlike Ellenson and more highly touted prospect he is much more likely to stick around for a few years. We mentioned the transfer of Jon Octeus earlier and although he is not on Jeff Eisenberg’s list of impact transfers (presumably due to the timing of his announcement) he is just one example of how important these transfers can be. Eisenberg’s list covers many names that you should be familiar with including a few you may have forgotten about (especially if they had to sit out that dreaded one year instead of getting the now ubiquitous exemption). If you haven’t kept up with transfer movements or just need a little refresher this might be a good place to start before you get caught off guard at the start of the season.